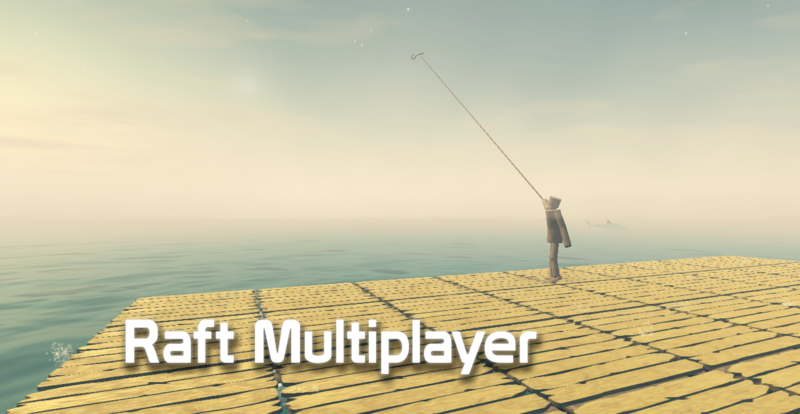 Hello, today i started to work on the multiplayer modification for raft. So far i did video from prototype where they are implemented the basic synchronizations of player position. If people want to, I can continue to work on it and release soon as i can, along with the API that allows other people to create their own modifications. "Q: Will there be multiplayer?" "A: Since multiplayer is super difficult for a small team like our's, we do not have any current plans for it." I'll take care of it :) If developers do not have anything against it. You are in Raft team, you work with them? No, i'm working on it alone. Where i can find more codes? Very excited for the release, keep up the good work! Amazing work! Maybe serwer browser or dedicated servers will be? Server browser will be, dedicated server probably too. I don't know when i release the mod. Now I can say that even for three days, or for one week. Say what you like but it is not my duty. At the moment I have yet to synchronize throwing objects from inventory and items on chests. Other stuff are basicly done. That I see work on this modification they go really fast so I suppose that the release date of this mod will be soon. What about models. or is doing someone else? Probably I will add my own a model, but i don't know what it will be. At the beginning will be the only one option, and is it private server. You can connect to somebody by his public ip address (if have unlocked ports) or for example hamachi. I'm working on it three days, it's just easy to write. First idea for Raft is Get player models from Rust the games look alike. And About servers Can like garrys mod You should be able to creat a temparary Invite only server once Leader left server shust down. Oh wow, bloody awesome. Keep up the good work! Try everything that I have given above, if still not work i can't help you actually. Look on the internet for solutions or try with external ip. how do you connect with friends on raft? Witam Mam pytanie jak to zainstalować to multiplayer ?? Pomocy !! Covered this just yesterday on my channel! Figured I ought to share it in the Raft sub-topic as well :) Again, GREAT WORK thus far! Hello, the mod works on raft 1.05 version? or it needs a new mod? I tried downloading this game. I did I and I don't understand how I am supposed to override the files and I tried what you did can you please make a video to this so we can follow the steps to do or to play this game in Multiplayer. Hey Demon! I really enjoy this mod in its current state but I have a few suggestions. I know you hear it a lot ,even though you are just a programmer, we need new player models. I also think you should implement a option to make the server PvP orientated or PvE orientated. I understand your a one man operation but if you could pull these of that would be great. But please don't stress yourself. I thank you for the work you have done in order to improve this game. That mode is very nice and i want it soooooo much but that mode its not on mac can you plzz fix it so that can be on mac?? ps: i have macbook. GAME DOES NOT WORK! MAKE ME ANGRY I CAN'T CONNECT WITH MY FRIEND! WHAT DO I DO?!?! I'm late to the party here so someone may have already asked this, but have you asked the developers about officially implanting this? Because I think that would be a win-win with the developers and players, and they would almost certainly be happy to do it. plz make for macOS i have win but my friend has mac so i cant play with him. Umm i just got a folder... what do i do with it? I'm like what do I do to Download it.8¤. Searching for HotSchedules as well as mounting the app in the typical method. hotscheduleslogin.net The HotSchedules web servers and after that attempt again later as well as cookies. ok can you make like a creative mode.. i want to play spleef with a friend and this is the perfect way to do it. none of us get damaged and we can break and insta break anything and everything. also would be good for building battles or creative only people building for a stream.